Digital Hanging Luggage Scale For Only $9.99! Down From $22! Amazon is currently offering this Etekcity Digital Hanging Luggage Scale for only $9.99 down from $21.99 PLUS FREE shipping with Amazon Prime for orders $25 or more! 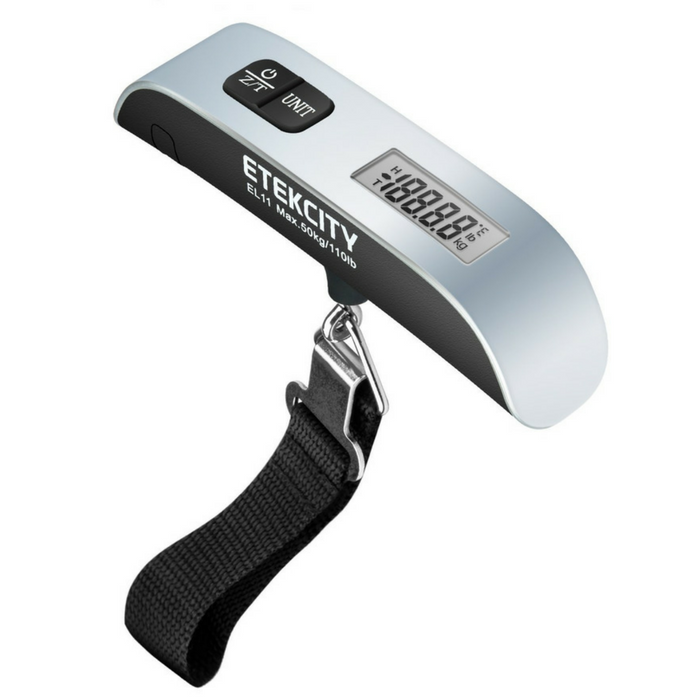 This Etekcity Digital Hanging Luggage Scale is designed to save you stress and money when traveling by airline. With a weight capacity of up to 100 pounds (50 kg) and no setup necessary, you are able to measure the weight of nearly any bag in an instant, at any time and any place. Simply hook your baggage onto the durable steel hook and the scale will display results within seconds. Measure all of your bags before reaching the airport so you’re no longer caught with overweight fees that could cost you up to $200 in extra charges. This scale is made for the avid traveler. Its simple and reliable user-friendly design makes it easy to weigh suitcases, purses, and backpacks on the fly. Whether for home or work, traveling should always be this simple! Thermometer temperature sensor in both F° and C. Know your delicate luggage is in an ideal climate. Traveler Design: Durable and heavy duty to stand the test of time and travel. Portable and easy to store at home or in your suitcase. Convert units between pounds and kilograms for easy calculations when traveling overseas. Lightweight and portable build making it easy carry in any small pocket without adding extra weight. 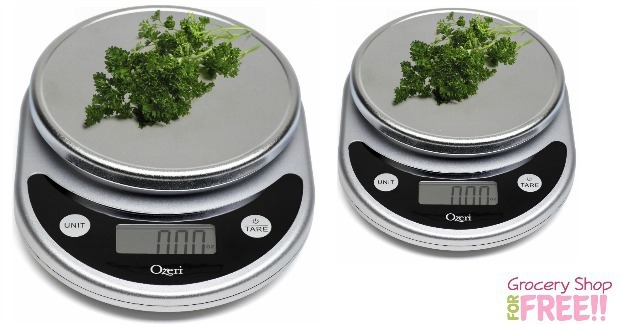 Check out this great deal on this Digital Multifunction Food Scale for Only $12.96! Every kitchen should have a reliable scale. I use mine to divide meat into family sized portions for freezing. Many recipes I have used also called for weight measurements – so, it has also come in handy for that too! 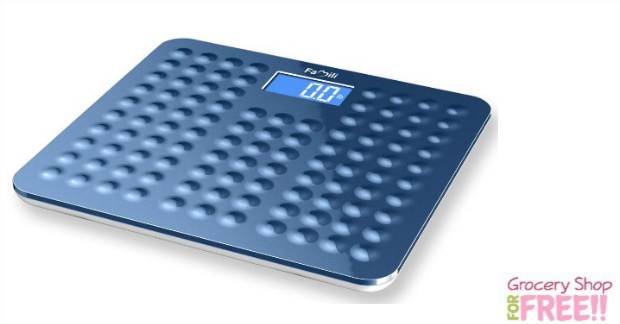 Non-Slip Blue Bathroom Scale Just $9.99! Non-Slip Blue Bathroom Scale – $9.99! Who has made a weight-loss New Year’s Resolution? Well, you can start it off with a brand new scale! This is a great deal, too! Get this Non-Slip Blue Bathroom Scale for just $9.99! It’s normally $40! It’s priced at $19.99, but if you use code: XS7IN98D at checkout it will take $10 off making it just $9.99! 【LIFETIME WARRANTY】100% Satisfaction Guarantee – Customer satisfaction is our highest priority, buy with Confidence!